In the early 1980s, Norev was acquired by daughter company Majorette just as Solido had been. Majorette was acquired by Smoby which in turn was taken over by the Simba Dickie Group. Today, Majorette remains part of Simba-Dickie, but Norev was spun off. In 1981 some of the earlier plastic models were reintroduced and then discontinued around 1984. 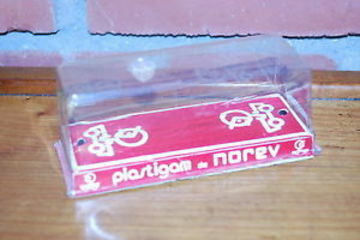 Some of the lines were named "Plastigam" perhaps harking back to the plastic body days, but later the name was also used on diecast cars and their boxes.